We are obsessed with delivering great living to more Kiwi families. Beautifully designed and crafted homes, that are able to adapt and grow as your family does, delivered quickly and affordably. With builders hard to find and the costs of building materials skyrocketing, we decided to take a fresh approach. 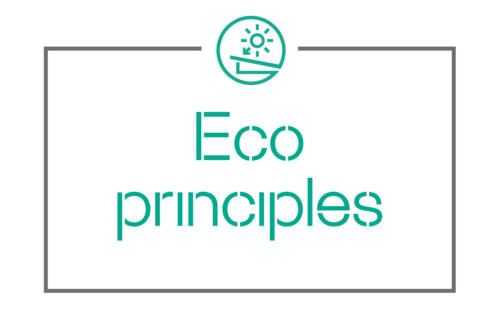 Bringing together leading eco design and precision factory construction methods, we’ve rethought every detail of how to make a great family home. We’ve crammed in all the features that make for stylish, modern living, and stripped out all the stuff you don’t need that simply add time and cost. 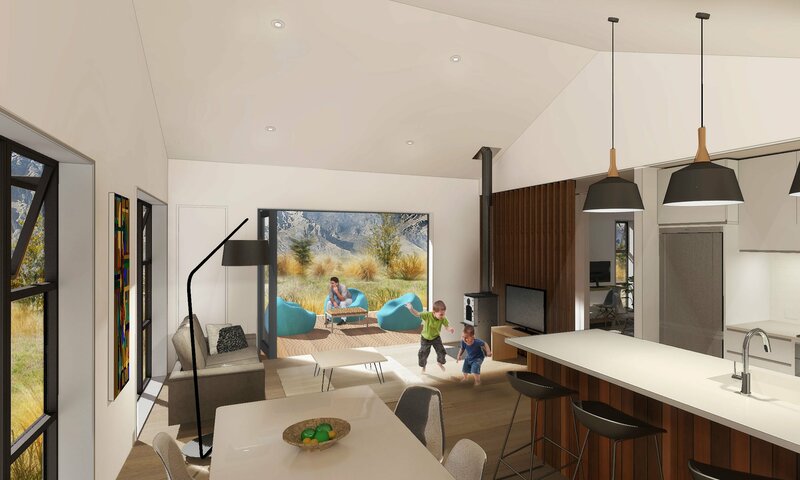 With fixed building prices starting from only $350,000 and delivered in a remarkable five months, contact us now to start your (short) journey towards a bright new family life. Sustainable materials and maximum sun capture create a warm, healthy home. No waiting for tradies to be available – you’ll move into your new home in just five months. From an outdoor kitchen to a media room, customise the design to suit your lifestyle. Fixed pricing gives you peace of mind that you’ll get the home you want within your budget. Even though our floor plan isn’t customisable we still offer a range of options to choose from when it comes to those finishing touches. Once you have decided to make a Flex90 yours our design team will work with you to choose your interior paint colours, feature flooring, lighting, bathroom and kitchen fixtures. 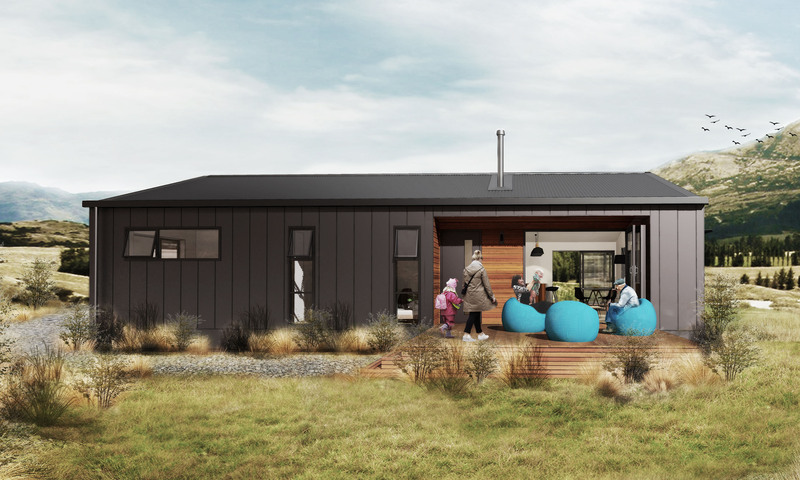 The Flex90 design can act as a 2 bedroom design home. The 3rd room contains sliding doors which can be removed to open up and increase the space of the living area. 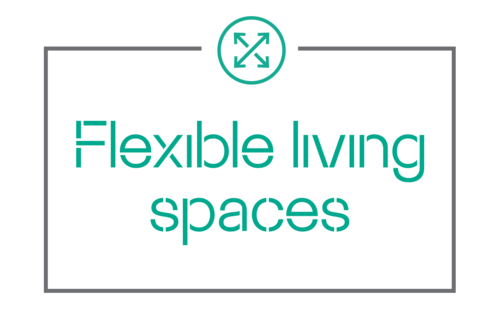 An important consideration when designing the Flex90 was that people want flexibility in their house design, as their needs and requirements change over the years. That's why the Genius First light can be both a 2 bedroom home and a 3 bedroom home. If you are needing extra bedroom space the 3rd bedroom can act as a sleeping quarters. Or alternatively it can be set-up as a media room, office space or yoga retreat. The sliding doors can also open it up to create a more open living and play area. The Genius First Light's Flex 90 is built to completion in our Timaru factory with all interior fitting done before the house is delivered to site. Once the home is connected to services on site the Flex90 is ready to be moved into. No the plan cannot be purchased for own build purposes. Unfortunately we cannot deliver to the North Island at this stage. This is due to transportation restrictions and high transport costs. Because foundation requirements vary from site to site some sections need more foundational work then others therefore there is no set price. Our team will be happy to talk through these costs with you. We currently do not have a showhome of the Flex90 design. Transportation cost will vary based on the location that the house will be delivered to. 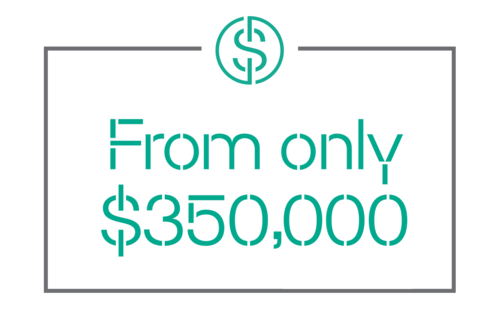 It pays to speak with one of our specialists to help give you a better idea of what the cost will be to you.